Inspire Support can offer a range of services to maintain people’s ability to live independently while increasing their capacity to undertake personal domestic activities with greater independence. Your support person can work collaboratively with you to undertake your domestic activities while working with you to build your skills to live with greater independence. They can also complete tasks that you are unable to do yourself, or complete the entire cleaning process on your behalf. We discuss with participant’s their individual needs and goals within their home and design a service to deliver the most appropriate individual support. To talk with someone about this service or discuss your specific needs please phone (03) 5334 2637, email referral@inspiresupport.com.au or complete the online referral form. 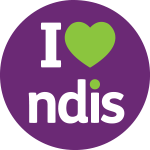 Personal Domestic Activities can be funded from Core Supports in approved NDIS Plans.